Judging by the conversations on social media websites and across cafe tables, you would think that nobody cleans, cooks, gardens, sews, does crafts or other household arts. You might see a photo from time to time on your Facebook homepage of a special meal that someone has created or you might see a photo of flowers in someone’s garden. What you probably won’t see or hear too often are updates about the day-to-day activities that keep a home operational. This silence is surprising when you consider how much time we devote to scrubbing our homes, doing clothes, caring for balconies and gardens, fixing our house/apartment infrastructure, shopping for food and making three meals a day. When both parents work outside of the home, much of this work is jammed into tight timelines before and after the work day. Meanwhile parents who are at home full-time can expect that their efforts to run a household and further the art of living at home will go unnoticed or unappreciated. When you consider the types of updates, comments and photos that stream through social media sites like Facebook, is there a place for conversation about everyday activities at home? The focus of such a conversation does not need to be exclusively about the repetition and effort. It can also be about details such as choices that are made when planting a garden or successful outcomes when trying new meals. Part of the problem is that the design of the main social media site – Facebook – is fussy. Inevitably updates end up streaming to all contacts, many of whom do not want to read your everyday content. On Twitter users can set up an online presence that can accommodate these comments, albeit 140 characters at a time. It is worth nothing, though, that research has shown that tweets including a reference to the home are some of the least retweeted tweets. For most of her adult life, Martha Stewart has been teaching the offspring of former hippies and their children about the art of living. In her younger years a focus on the household arts was lost as attention was given to other social movements and interests. She has capitalized on the desire people have to create, enjoy and feel inspired in their home environments. As a parent of young children it can feel like the cleaning and organization cycle never ends. Martha and many spinoff experts have helped to add some inspiration to this process. 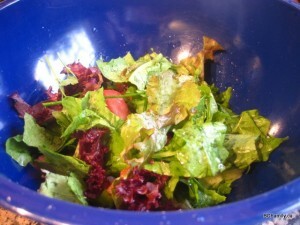 summer using lettuce and herbs from the garden. How’s your weeding coming along? How do you keep the chaos under control? Did you plant any new annuals or perennials this year? Did you make any changes in your vegetable garden? How are you coping with food prices? Where do you shop for your food? What are your favourite farmer’s markets? We don’t necessarily have the skills to cook up lavish dinners for 15, but we might have found ways to put together home cooked and Whole Foods provided offerings into attractive meals. What are your favourite entertaining tricks? How do you balance cost with a desire for healthy and sustainable food choices? Do you have a vegetable garden or patch? What are your favourite household cleaning tips? What tricks do you use to organize the clutter in your home? How do you make laundry an easy and enjoyable experience? How’s your balcony looking this summer? Where are you finding recipes? Do you still use favoured cookbooks? How do you stay enthused about cooking? Are you trying any new cuisines? Do you have any favourite food stores that cater to specific ethnic groups? Do you make any of your own clothes, toys or other household items? Where do you buy your sewing and craft supplies at an affordable rate? What kinds of crafts do you do at home? How are you learning about home repair and maintenance? How do you balance the needs and wants on the home front with other social and work priorities? How are your children involved in the cycle or work and creativity at home? Do you share this type of information with your family and friends? What do you remember about these types of activities from your childhood? What do you remember about how people talked about these topics when you were younger? How do advertisements reinforce certain ideas about home life? What are your favourite online and hard copy resources for information that help you at home? How do your friends and colleagues talk about their efforts at home? How satisfied are you with the extent to which people in your circle value your contributions on the home front? Rated on a scale of 1 (not at all) to 10 (satisfied. Are there any local initiatives that support these efforts? For example, do you take courses at local community centers? Do you take part in online communities for people with specific interests? Do you attend local, free courses about gardening? We all know that people don’t tend to comment, very often, about online comment. (Save for incendiary stories on top media sites.) Still, it’s worth saying that we’d love to hear from you so don’t be shy! You can comment about this posting using the comment function below or visit us at our Facebook page. This category could produce endless links! Here’s some random offerings. Don’t forget to check out YouTube for any topic that interests you. As an example, there are fabulous videos about how to make specific crafts. 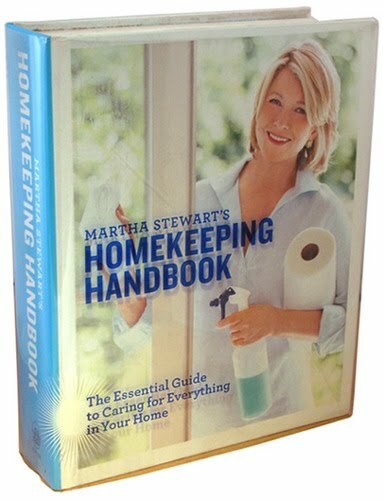 Martha Stewart’s vast and informative website includes useful articles and videos about topics such as “how to fold a fitted sheet“.